There are 6 of them. 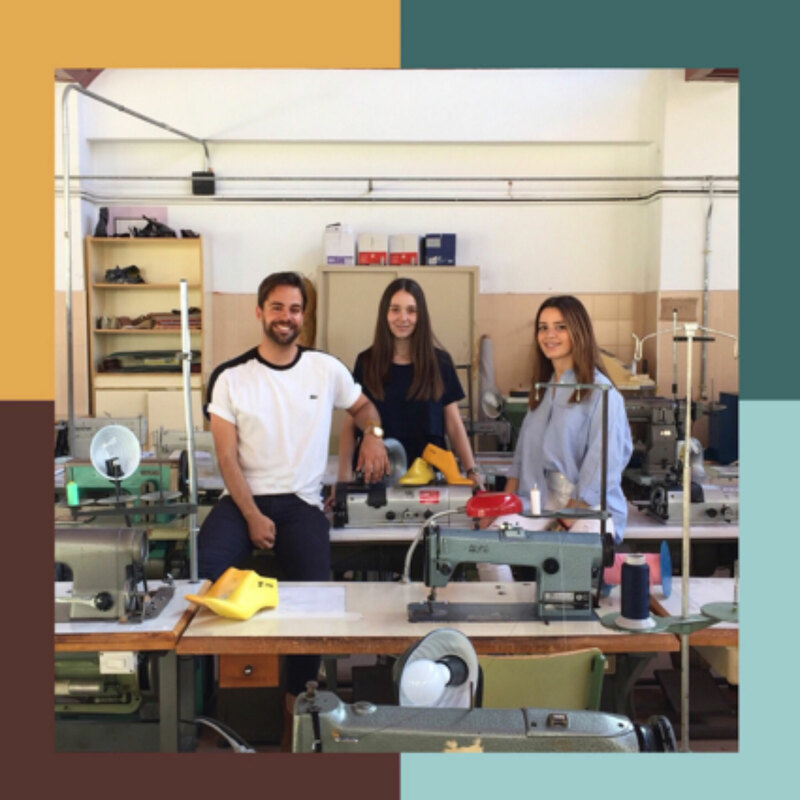 And they have 6 different projects, all centred around the theme of sustainability, technological innovation, health and design, and yet they share just one passion: working in the footwear sector.These are the teams who have got through to the final of the “Shake the future of the footwear sector” competition, and they will be up against each other on 25 June in Milan, hoping to win a work experience in a leading company and become famous names in the sector on a European level. Our proyect “CRUSH” consists on promoting physical exercise with our built-in wheels trainers. 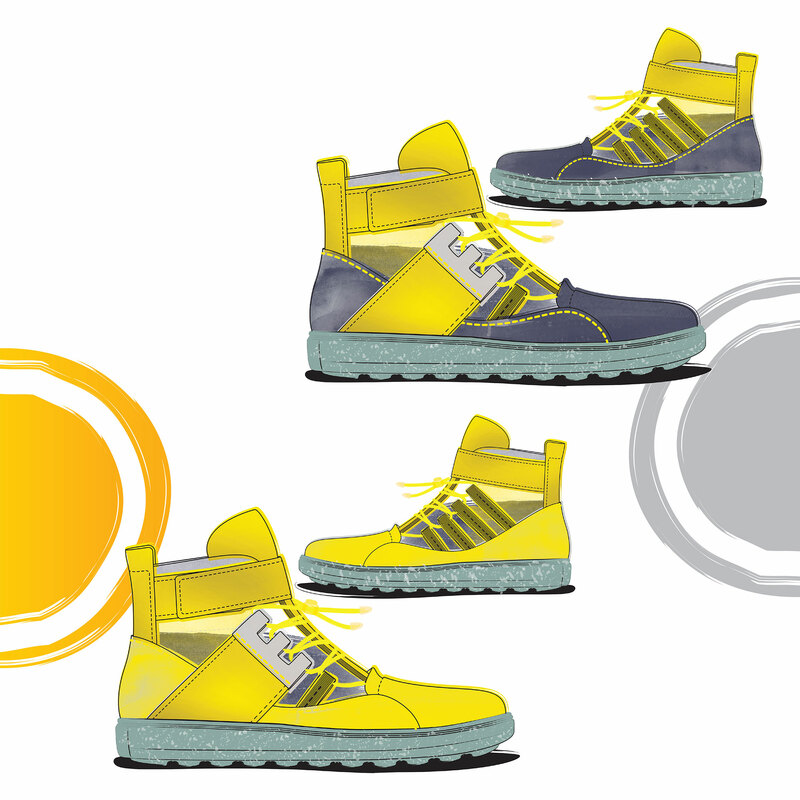 Crush is based on incorporating a dynamo which collects and accumulates power in an inner battery through movement, either with its wheels or while (you are) walking because apart from their wheels and the dynamo, our trainers will have photovoltaic fabric. Our aim is using this energy to charge devices combining new and future technologies with healthy life. For the realization of this model, we use the system of numbering Phi, known as the golden number. It is associated with beauty and nature, through different geometric shapes, tessellations which are formed and which are interspersed with each other leaving no free spaces. In this way, a hexagonal mesh has been created after executing a series of orders with a computer program, this mesh has undergone different interactions until getting the result that has seemed to us more suitable. A processual work whose importance falls into the creative process to reach an adequate result. There is aconnection between procedural art and generative design. In both cases the process is more relevant than the final result. 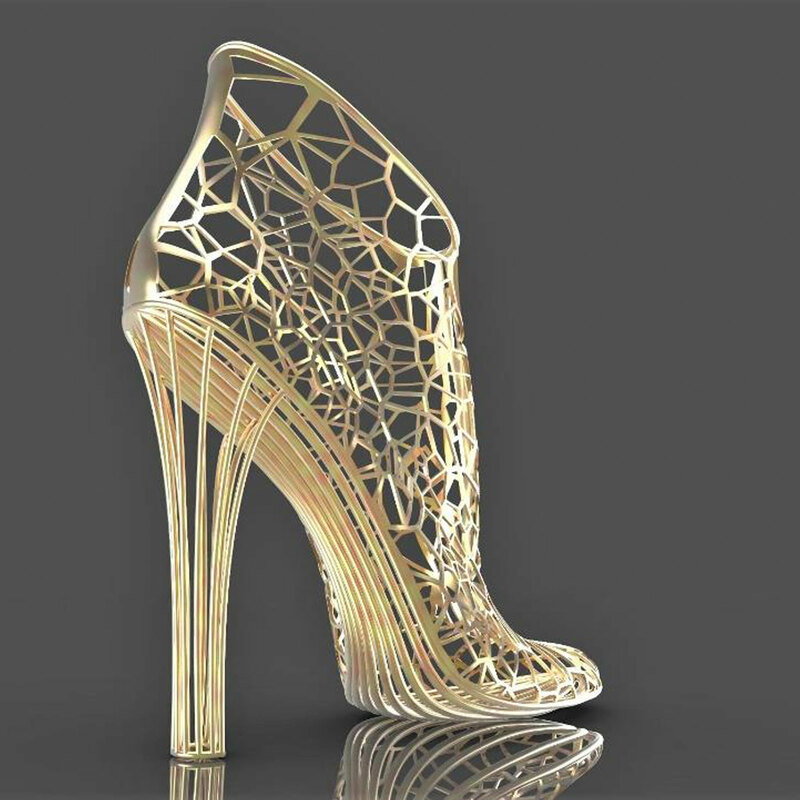 The procedural and the generative design are related from their very essence at the moment of giving more relevance to the process than to the final product. The planet lives. The planet feels. The planet evolves and simultaneously it moves back. The planet changes, believes itself, and it is destroyed, and certainly it walks, the planet walks as each one of us, and here it is where out project begins. 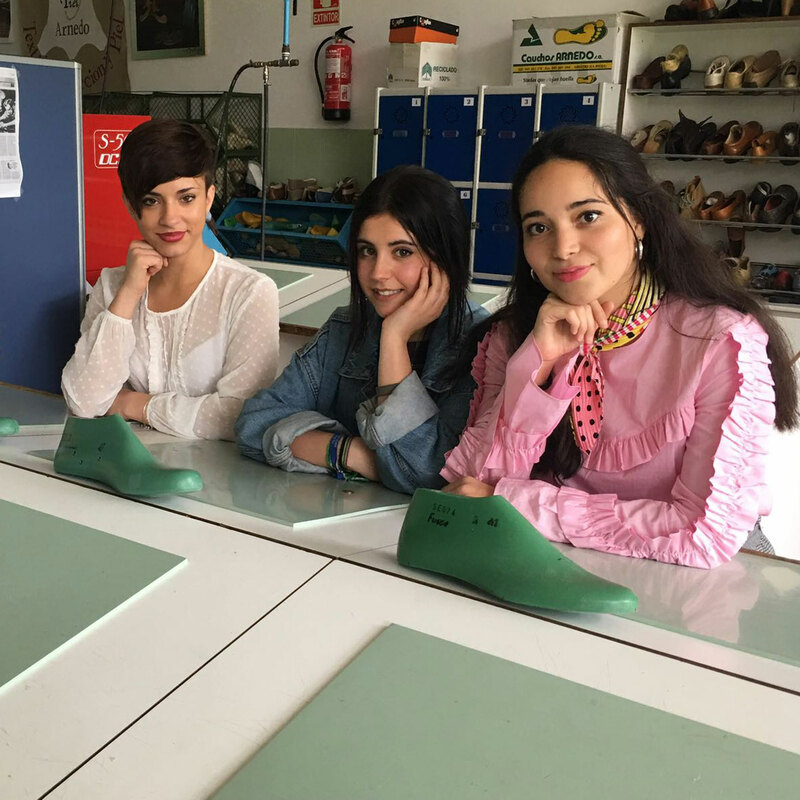 The project ¨Las pisadas del Planeta ¨ is an inspiration facing the future and developed in the classrooms of the high school Sixto Marco. It comes from our desire to investigate and take the most of the resources that surround us, to develop a model which reflects the quality of materials, the care of the environment and the respect for the crafts and the processes of production. 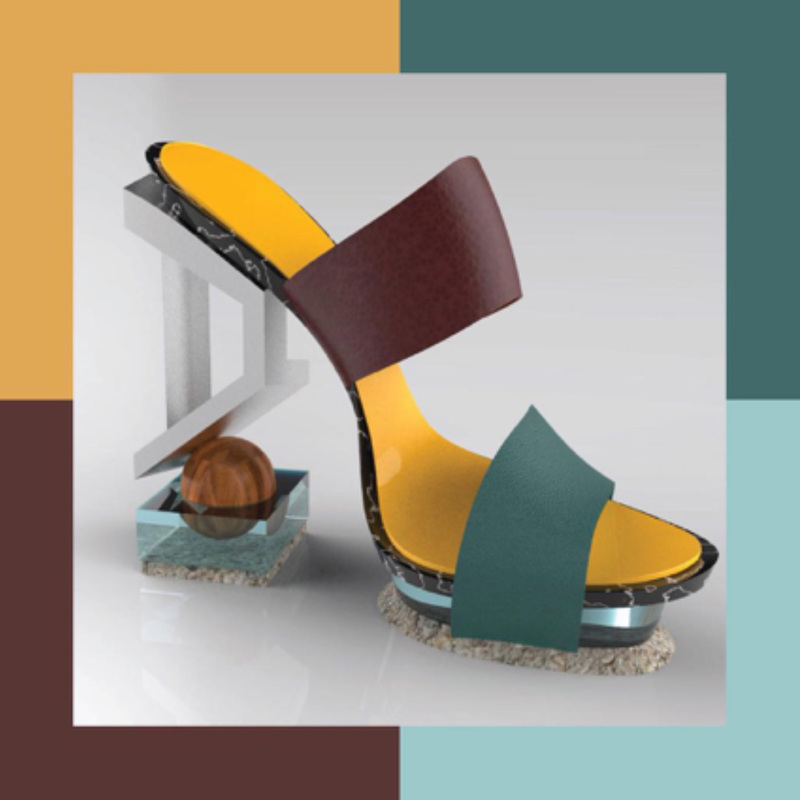 A shoe made for the planet, without being affected by the materials used, and especially, produces with very much fondness. 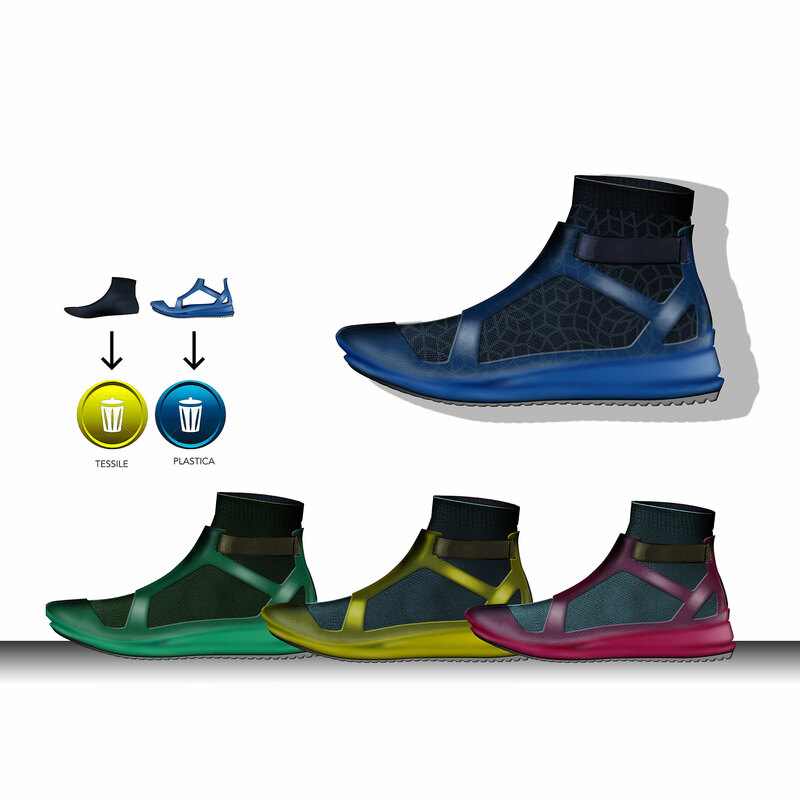 3FLT is a footwear design project created by Adam Frk and Michaela Šimůnková under the guidance of Helena Krbcová. The project stands on three pillars: sustainability, design and community. 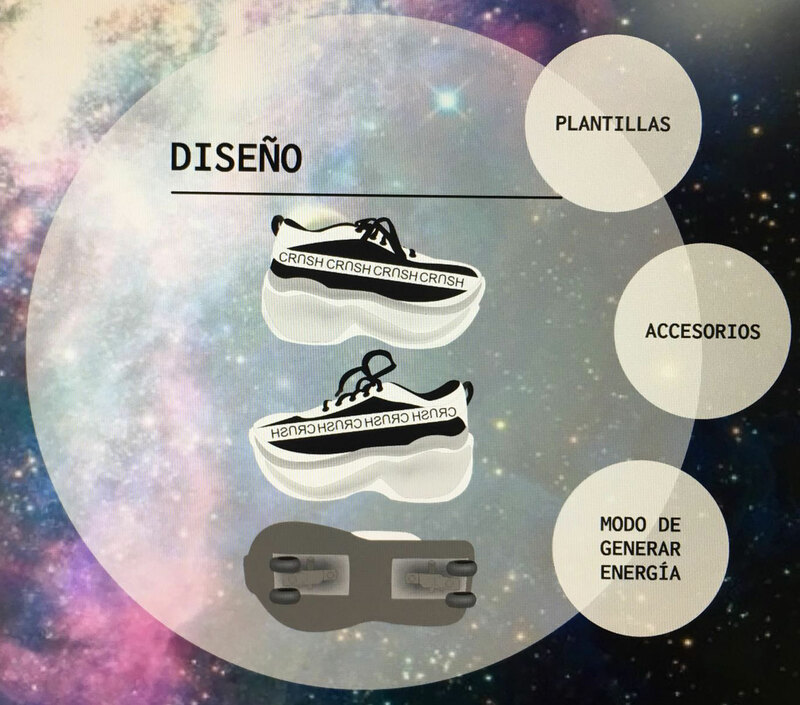 It was our priority to think about how we can make our shoe more sustainable so we decided to source recycled, recyclable or biodegradable materials. 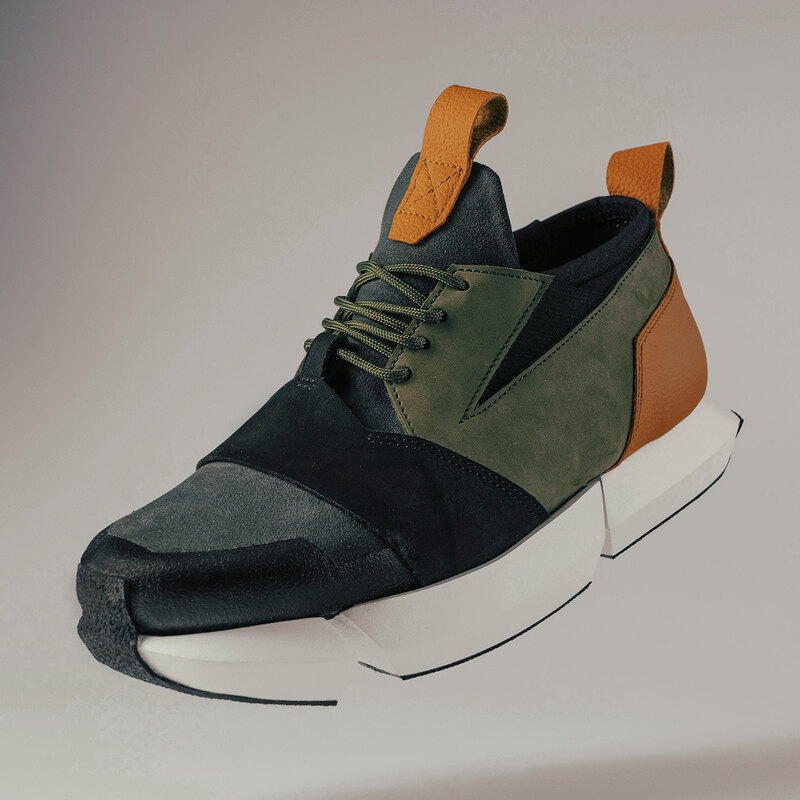 While designing the looks of the shoe we tried to incorporate many functional features to ensure the highest comfort and functionality. 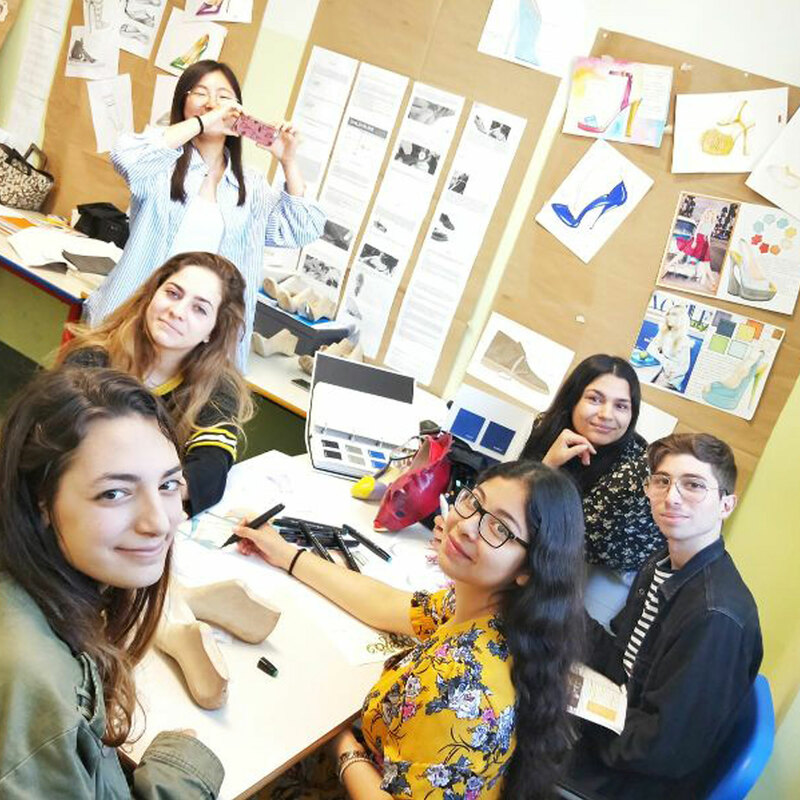 The last part of our project is building a community through an app where people would customise their shoes and share their creations. 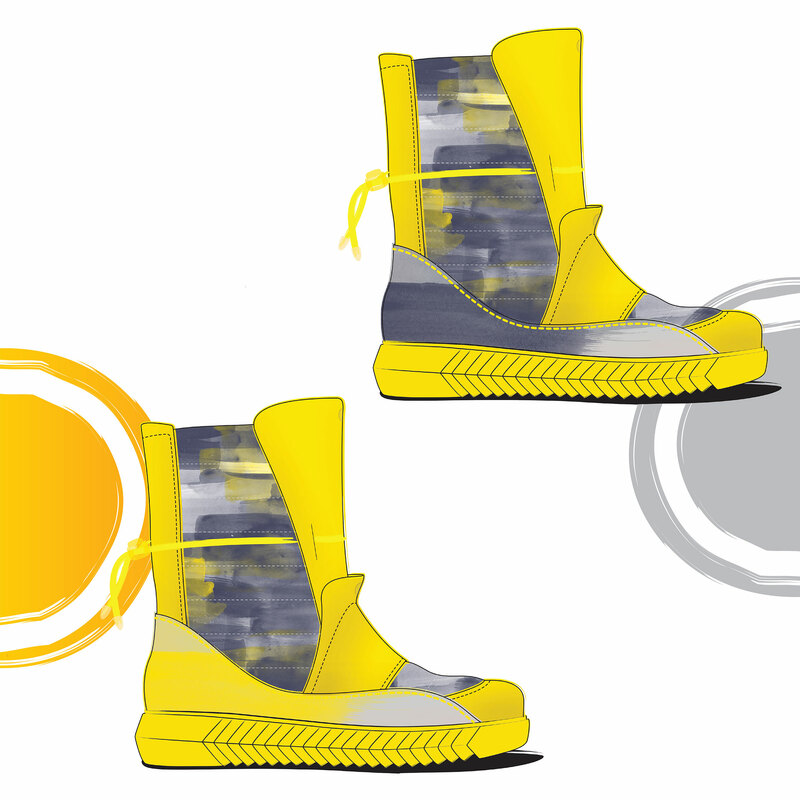 We tried to think of every aspect of a development of a shoe, from initial idea and design to how customer would engage with the product but also what impact would our shoe have on people and environment. The number 3 in the 3FLT name stands for the three pillars on which our design is based on. FLT is a shortcut for the word float which is how our shoe appears to float on the bulky three-part sole. 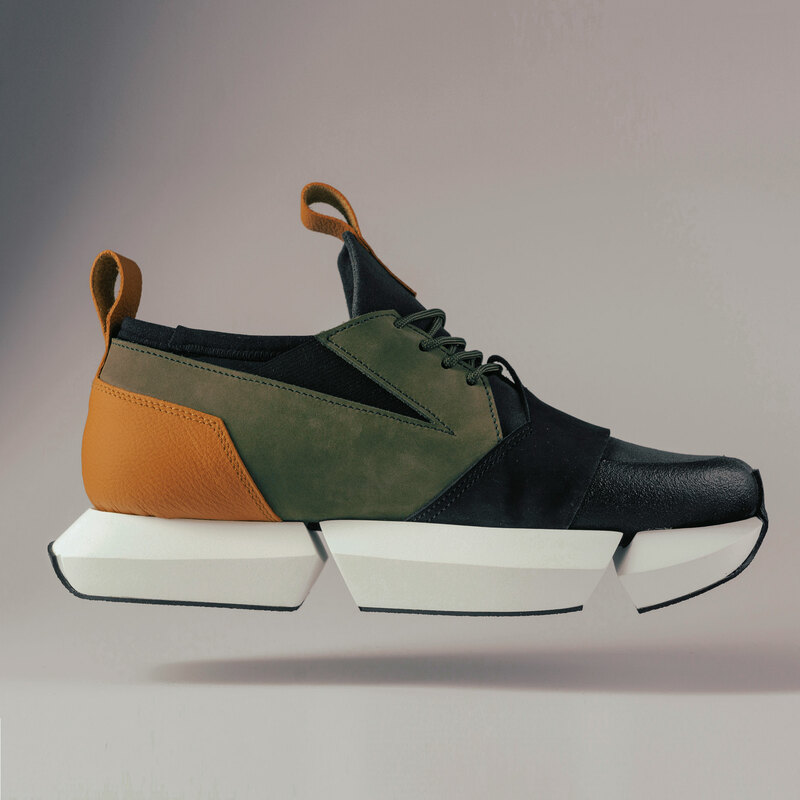 Thinking about the topic of the future of footwear, we asked to ourselves: how to represent the future in a world as variable as fashion? 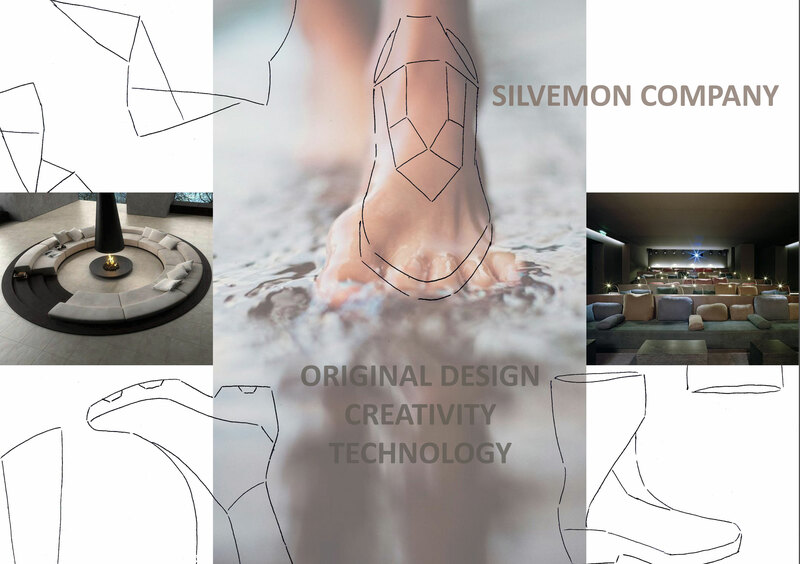 Team: Silvie G. , Vendula M., Monika M.
Clever footwear and clothes. 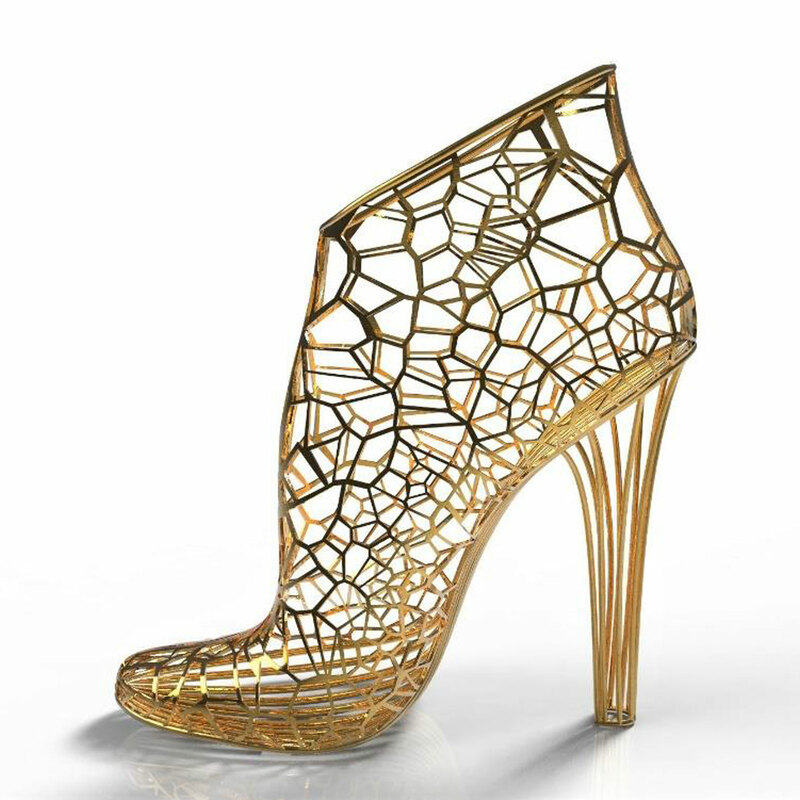 Fashion merged with medicine thanks to modern technology of 3d printers fare more things are possible nowadays. Every our client has a health profile there so the design could be medically adapted for them. We work with nanotechnology, sensors which can reveal absence of nutriments by sweat, blood pressure measuring and a Chinese medicine. Company organizes foreign language courses, inspirational trips and stays, they go on stages to other companies, fairs and exhibitions. 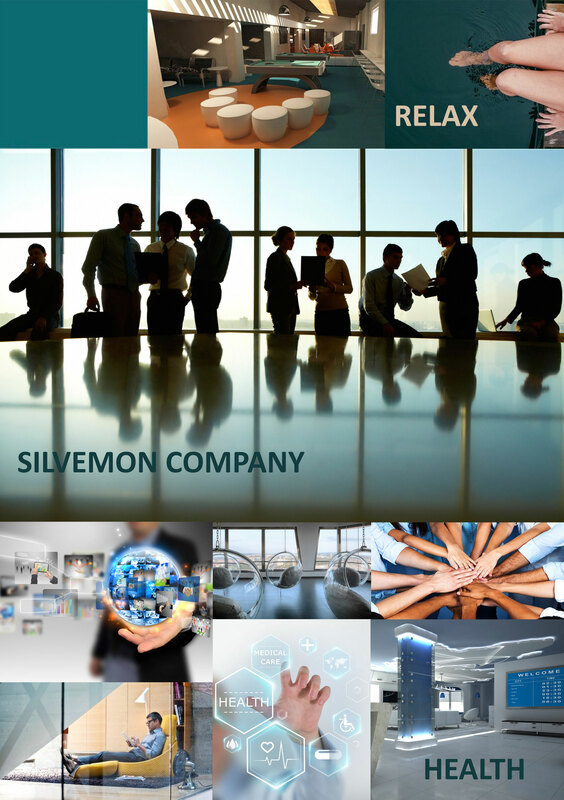 Our company is not the biggest according to number of employees but is more personal and tries to provide comfort to employees. Company cares about employees and their families and try to know them as much as possible so it organizes some events together such as family events, thematic parties, masquerade balls connected with charity, trips and so on. And because we care about family relationships, designer works once a week from home. Our employees works 8 hours a day or longer if it is necessary. Relax and searching inspiration is very important part of work so it is included in working hours. Every employee has a different idea of relax and getting inspiration and according to that are their offices designed. For accepting clients there are special rooms – every room represents certain country- but it is not necessary to accept them right there. They could also be accepted in designers offices or in common rooms so that it suits the client. Factory consists of designers personal offices, rooms for accepting clients, workroom with 3d printers, lab and a bunch of common rooms- library, playroom, movie room, restaurant, bar, coffee, tearoom… They relax there but also have opportunity to write down their ideas on tablets which are here for this occasion and send them to their PC. In rooms is variable interior – employees can change their furniture, wallpapers and colors by 2d and 3d projections, but they can also change atmosphere and smell. 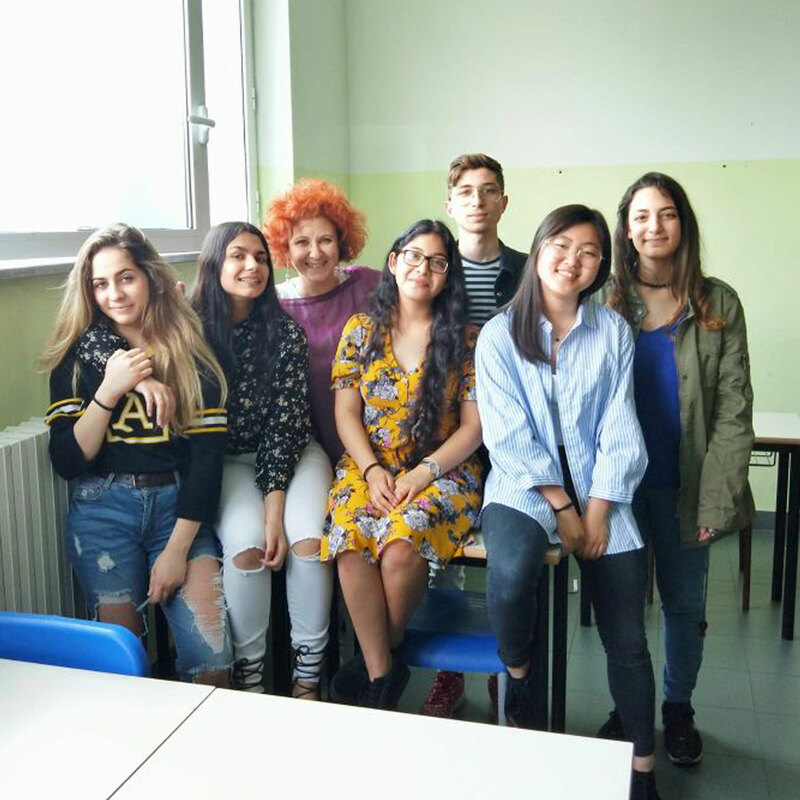 We are group of students of the 3rd year Sistema Moda at Bernox high school. Following the request #inmyshoes has made us, we would like to present our proposals, based on our ideas , our creativity and our school-work experience, to help companies involve young people in their activity more. 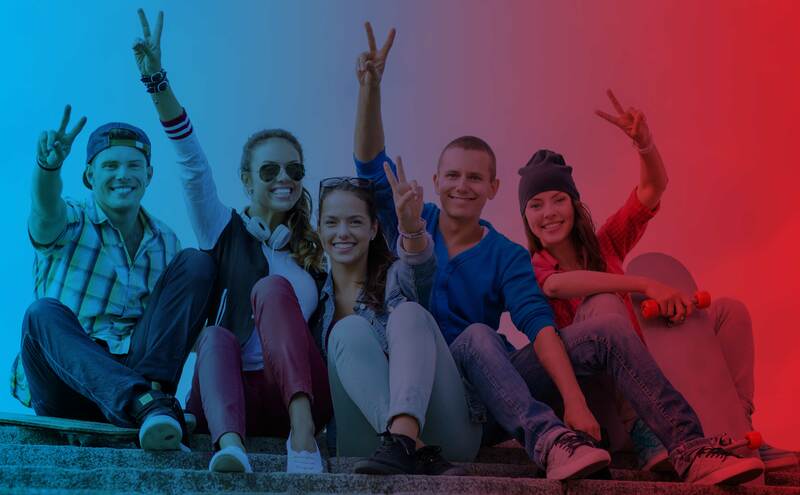 Our ame is to make young people become intrested in this profession before they are descouraged by difficults and small failures they may meet at first. This will be possible if we highlight the most exciting aspects of this profession, such as: the beauty and appeal of the final product, the story and importance of the companies and of the societies of our area and the costant need to face new challenges. We have accepted this challenge, and now it’s your turn!